At Environmental Techniques Corp. (ETC) we have been solving your indoor air quality problems since 1977. Our Company was founded on the principals of providing honest, reliable and competitive residential and commercial services to the greater Dallas and surrounding areas. Today those same values are still in place at ETC. Quality services of yesterday that you can still get today. ETC the right choice, the only choice. Give us a call today for all your indoor quality needs. 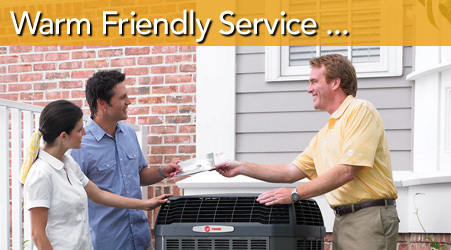 When it comes to HVAC repair and installation, ETC is your go to provider. With certified technicians selected for their significant knowledge and experience, who've had extensive background checks and the greatest integrity, you can be confident with our staffs ability to handle any of your HVAC needs. Our range of products and services can only be limited to your imagination, from ventilation in your attic or crawl space to programmable thermostats, geo thermal and zone damper systems. Give as a call to go over your needs and ETC is there to provide you with solutions. Trane, Carrier and Lennox are just a few of the quality name brand parts and units we sell, repair or install with the highest of industry standards and specifications along with an unmatched parts and labor warranty which gives an unequal sense of peace. And if all that wasn’t enough, to help alleviate any stress brought on by the possibility of financial strain, we can provide financing options through The Home Projects® Visa® credit card, which is issued with approved credit by Wells Fargo Financial National Bank, an Equal Housing Lender. Give ETC a call today and you will enjoy the results tomorrow! Your residence is one of your most valuable possession and our certified technicians are ready to repair and maintain your heating and air conditioning equipment keeping your residential space comfortable and your HVAC systems running at peak efficiency. We offer Service and Maintenance Agreements of aLL types on residential systems. Call us at 703-502-3040. Businesses choose ETC to install all types of new commercial heating & cooling equipment ranging in size from individual offices to complete commercial buildings. Experienced commercial ETC a representative will suggest air conditioning and heating equipment upgrades, complete new comfort systems, system repairs or maintenance agreements. Call us at 703-502-3040. ...I am writing this letter because I feel that service in today's day and age is lacking in many corporations and it is nice to see a company go the extra mile to help a customer. I realize that this is a very busy time of year for your company and I want to thank you for making sure that we were taken care of promptly. We hope to be able to refer some business to ETC. I wanted to take a moment and recognize three of your employee...for their work. I am well aware that all too often service organizations only receive communication when there are problems. At all times, each of these individuals acted very professionally... I would not hesitate to recommend or use your service again. It's my belief that we all take time to be critical of things, but far too few of us take the time to say, "Job well done". I personally wanted to let you know how much Haggar Clothing Co. and I appreciated the hard work and dedication your guys gave to us during our a/c nightmare of our 65 year old system... Keep up the good work and I look forward to working with your guys again. This is just a quick note to express my very sincere gratitude to Chris Goolsby...for all their efforts towards making my air conditioner run!.. These gentlemen saved me, my birthday, and a wedding shower that I hosted today - Bless you! They both worked miracle w/ my rather old A.C. unit. I would and am currently recommending ETC to anyone within earshot. Thank you! P.S. The dispatcher was very helpful. Many thanks for working me in. Cities We Service: Allen, Melissa, Anna, Murphy, Blue Ridge, Nevada, Carrollton, New Hope, Celina, Parker, Copeville, Plano, Dallas, Princeton, Fairview, Prosper, Farmersville, Richardson, Frisco, Royse City, Garland, Sachse, Josephine, Saint Paul, Lavon, Van Alstyne, Lowry Crossing, Weston, Lucas, Wylie, McKinney. © 2009-2017 Environmental Techniques Corp. All Rights Reserved.